Cheat for Escape City Level 2 Walkthrough – Even city facilities were intimidated by this gang. They use this post-office as a transshipment base for “goods”. Escape City Solutions to play as a rookie cop and stop the ruthless criminal gang on escape city by solving puzzle code on each stage ! Find all joker card on each room, if you collect every joker card you will have access to the secret room. This entry was posted in escape city on May 15, 2015 by 100doorssolution. Answer for Escape City Level 3 Walkthrough – We were informed that this gang meets in the “golden lagoon” bar. We need a car to get there. This one will do. Escape City Solutions to play as a rookie cop and stop the ruthless criminal gang on escape city by solving puzzle code on each stage ! Find all joker card on each room, if you collect every joker card you will have access to the secret room. Answers for Escape City Level 4 Walkthrough – Damn… We’re late. Let’s search for clues, maybe we’ll find something. Escape City Solutions to play as a rookie cop and stop the ruthless criminal gang on escape city by solving puzzle code on each stage ! Find all joker card on each room, if you collect every joker card you will have access to the secret room. Cheat for Escape City Level 5 Walkthrough – This gang is ruthless, they lynch everyone. Looks like a good cop lived here. Escape City Solutions to play as a rookie cop and stop the ruthless criminal gang on escape city by solving puzzle code on each stage ! Find all joker card on each room, if you collect every joker card you will have access to the secret room. 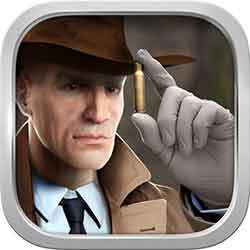 Cheats for Escape City Level 8 Walkthrough – We need to examine clues that we’ve found in our laboratory. Escape City Solutions to play as a rookie cop and stop the ruthless criminal gang on escape city by solving puzzle code on each stage ! Find all joker card on each room, if you collect every joker card you will have access to the secret room. This entry was posted in escape city on April 20, 2015 by 100doorssolution. Cheat for Escape City Level 7 Walkthrough – We know that they sell products on the city streets. Let’s see whatwe have here. Escape City Solutions to play as a rookie cop and stop the ruthless criminal gang on escape city by solving puzzle code on each stage ! Find all joker card on each room, if you collect every joker card you will have access to the secret room. move the garbage can to get pipe and paper with hole. This entry was posted in escape city on April 12, 2015 by 100doorssolution. Cheats for Escape City Level 6 Walkthrough – This was a meeting place with our insider in the gang. Maybe he has left something for us. Escape City Solutions to play as a rookie cop and stop the ruthless criminal gang on escape city by solving puzzle code on each stage ! Find all joker card on each room, if you collect every joker card you will have access to the secret room.